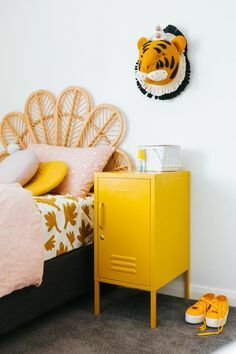 Designing a child’s room is no child’s play. It must be a place where the little ones can have fun and indulge their sense of exploration and imagination. Another priority parents must not lose sight of is safety. And when you want to accomplish all of that in a small space, challenges will pop out and easily put you at your wit’s end. Well, there is no need to fret: Here are some fun playroom ideas for all budgets, styles and configurations. A large open-plan layout is preferable because it provides ample and flexible floor space for all sorts of escapades and plays. Then again, not everyone can afford to expand and tear down walls. Besides, there is a way to put together a small, vibrant shelter for your kids, one that contains everything they could want. So, get organized, and make certain to utilize every inch of the available space. Regardless of the floor dimension, cover it with a soft rug. Bear in mind that it is also possible to steer clear of the hard floor and go for something like a rubber green surface that emulates the grassy fields of the great outdoors. On the other hand, a themed road mat brings jubilance to rooms and allows kids to drive their small four-wheeled friends around. White walls and dark wood floors are easy to maintain, but they are not the embodiment of what a child craves for. 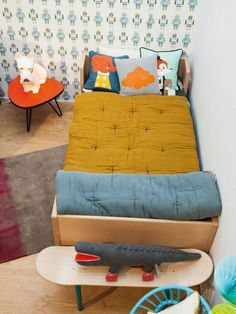 If they are old enough, kids can offer their own creative input and inject their own personality into the space. For example, ask them what kind of theme they would like to have in the room. Boys seem to adore nautical themes with a lot of blue hues. Furthermore, it is a good idea to stick to furnishing and décor that is easy to update as your child grows. Also, the thing you do not want to neglect is storage. Modular open wall shelving is one of the best options that ensure that toys and other items are close at hand, not scattered around. Cabinets and under-the-bed storage are excellent for toys that are not used that frequently. Do not overlook the lighting either. Practicality comes first, but decorative lighting is also very beneficial. You can use typical lamps but also commercial LED lighting solutions. Superlight Moon Spheres, for instance, are both functional and visually stunning. They create a specific mood and transport the kids to another planetary dimension. Feel free to think outside the box when choosing furniture. Scaled-down versions of designer grown-up furniture bring stylishness to small hideouts and nicely fit tiny spaces. 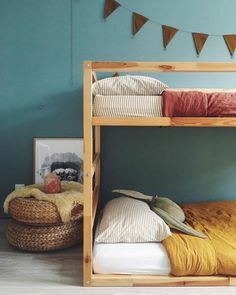 You can also go for unexpected pieces like a tent or a den. Or, why not take it to new heights – assemble a tree-house-like structure and invite children on an exciting adventure? Just make certain everything is safe and sound, and get into the art of childproofing. When it comes to visual bliss, there is one basic rule: The more colorful and imaginative, the better. Use a wide array of colorful accessories to infuse the space with visual appeal. Apart from that, try to blend education with fun. A chalkboard wall is a nice addition to any child’s room as it prevents scribbles on freshly painted walls. At last, display kids’ artwork on a picture board. There is no telling who will be prouder, the artist themselves or their parents. Even the smallest of rooms can be transformed into amazing sanctuaries that are stylish, safe and functional. Thus, unleash your inner designer and summon a spellbinding harmony of colors, textures, patterns and shapes. Create a playroom that holds attention longer than the latest cartoon obsession. Spark creativity and passion, and make an effort to maximize the development of a young mind.